Would you like to start a real estate newsletter to help keep in touch with your past clients and other personal and business relationships? Newsletters can be a great tool to present yourself as the real estate expert and keep yourself in front of people so they are regularly reminded of how you can help them. When you are first starting your newsletter, there are several decisions you will need to make. The first is who you want to send your newsletter to then what platform you plan to use to distribute the newsletter and finally the content you plan to include in your real estate newsletter. 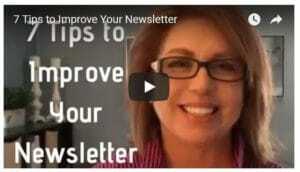 Here are 5 tip you can and should include in each newsletter you send out. Article targeting buyers-There are many topics to choose from. A few to consider starting with for your newsletters are What it Means to be Pre-qualified, Saving for a Down Payment and How Large a Home Do You Need? Talk about the buying process. Article targeting sellers-It is important to educate potential sellers as well and there are many topics to choose from. Consider the following ideas: What Updates are Most Important in Your Home, Showing Preparation Tips and What Do You Have to Disclose. Article targeting home owners-The majority of your list is likely not planning to buy or sell a home anytime soon so you need information that will be helpful to them and keep them engaged. Some topics to include are Taking Care of Your HVAC, Maintaining your Hardwood Floors or Easy Landscaping Tips for Your Yard. Properties for Sale-This is a great way to feature a property or a few properties to a large audience. Obviously, you can’t include all of your listings but pick a property that looks great and has a great price and share it with your newsletter recipients. You never know who might see it and find it appealing. Testimonial from a Past Client-Let your past work speak for itself and let your clients share their great experiences with others. Grab a testimonial from Zillow and add it to your newsletter. Monthly Market Stats – your MLS posts this information monthly – great way to add value to your newsletter and keep your audience engaged. Community events – what is going on in the area that you feel is worthy? Maybe a new business just opened, festival in town, concert, wine tasting event, football game with the #1 rivary, baseball season, summer ball tryouts. It can take some time to plan your real estate newsletter and you might need to tweak it over time to find what works for you and your community but after a few issues, you will get your routine down and feel great every time you send it out. Make sure you include a call to action in your newsletter and you will be ready to go. An easy one is to offer a free market analysis of their home to get them to reach out to you or maybe offer a Starbucks Coffee Gift Card for the first 5 people who contact you. If you are going to print the newsletter then you need to decide how you will put all the information together, who will print and mail it. 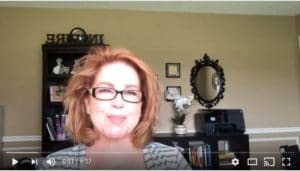 If you re going to create an email newsletter you need to plan out the program you will use and how to send it out and to who in your database will receive it and will you put it on your website? A lot of think about, so I’ve attached a template for you to download to help you plan out your real estate newsletter. 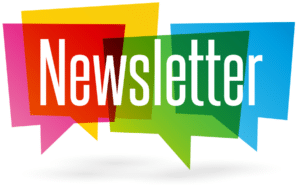 Click here for your Newsletter Worksheet. How many of your clients have kids and bring them along to look at houses? Whether they choose to bring the kids along because they don’t have someone to watch them or just want the kids to participate because it will be their home too, the kids will need to have something to occupy them while you look at houses. True, they will look some but they won’t take the same amount of time to look and the parents need to feel relaxed to look at houses and make the best decision for their family. That means you need some simple (and easily transportable) activities to occupy the kids while you are looking at houses. Some parents may come prepared and that’s great if they do but don’t let the unprepared ones waste their time and yours juggling kids and house shopping. 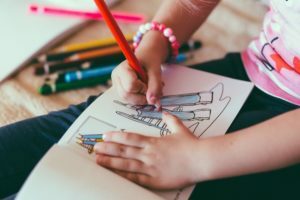 Take an afternoon and put together a bag of activities the kids can do in the car or while waiting and you will be ready for your next day of showings. Here are some items you could include. Washable Markers or colored pencils. Stay away from crayons as they will quickly break or may melt if you leave them in your car on a warm day. If you choose colored pencils, make sure to purchase a small pencil sharpener that will collect the pencil shavings to go along with them. Then remind yourself to check the pencils after each use and sharpen them so they are ready for next time. Puzzle books like word searches or other simple activities. Think age appropriate. Reusable sticker pads. Melissa & Doug make some great choices. These will allow you to use the same activity pad with multiple kids and prevent you from having to worry about the kids sticking stickers somewhere they shouldn’t. Clipboards will make it easier for kids to do some activities so pick up a few clipboards to keep in your bag. You can pick these up at the Dollar Tree – They also come in smaller sizes. Click here to print some house score cards for the kids to mark what they like best about each house you look at. It will make them feel like they are an important part of the process. If you regularly show houses to families with children, consider investing in an iPad mini or another similar tablet and stocking it with games and other activities that might engage them on extra-long showing days. Make sure to have head phones so they can just plug and play. Putting this bag together ahead of time and keeping it stocked for regular use and last minute appointments will make it much easier for you. When you know you have a long day of showing ahead of you with families with children, purchase some easy snacks to have on hand and add a cooler of bottled water to your car. All of these things will help set you apart from other agents and remind your clients how much you care. Being a real estate agent is about so much more than selling homes. It is about building relationships and those relationships should involve the whole family. Diapers – maybe collect a couple from friends so you have a variety. 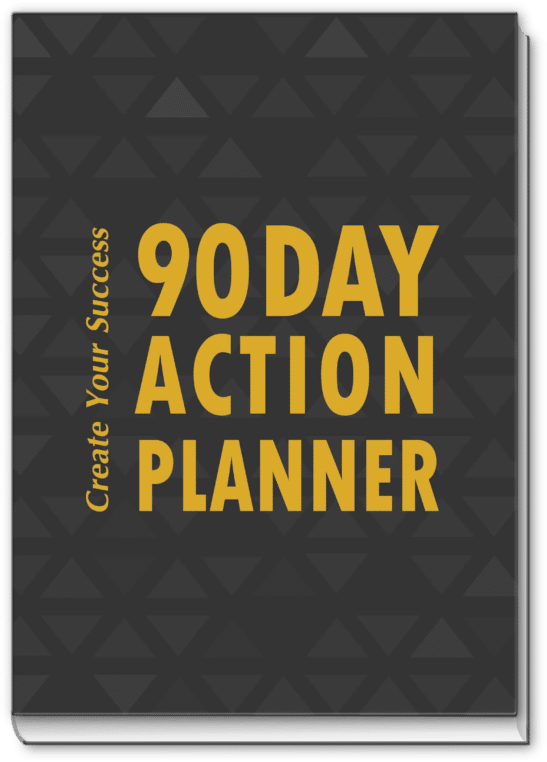 The more prepared you are the more you will get accomplished on that day out with clients. Note: I do not endorse any of these products or receive a affiliate commission from any of the products nor Amazon. 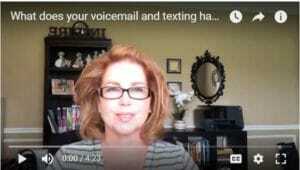 What does your voicemail and texting habits say about you? Most real estate agents can’t survive without their SmartPhones close by. When you get busy, there will be times you just can’t answer all of your calls no matter how hard you try. Whether the calls you miss are personal or business calls, having your voice mail properly setup is important. You may have clients you know calling you, prospective clients that you have never spoken with or even people that are calling for personal reasons. Identifying who you are in your voice mail message is important if you want to portray yourself as a professional. Voice mail setup doesn’t have to take a long time or be complicated. Before you pick up the phone to record your greeting, take a few minutes to write your script and practice to make sure you sound professional. 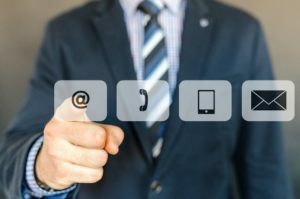 Here are some tips to make sure your voice mail greeting is professional and polished when you can’t answer the phone. Speak slowly so you are easy to understand. Immediately state who you are. Include your name and the company you work for. Share an alternative way to reach you in your message such as email, your website or by text message. If you are not going to be able to return calls for an extended period of time, record a temporary greeting that let’s your callers know that. If you set an expectation in your voice mail for how quickly you return calls, make sure to honor that promise. You do have several things that are important to say but don’t let your message go on so long that people get frustrated and hang up. If you aren’t sure where to start, here is a sample voice mail script to help you. Remember, your voice mail doesn’t have to last forever. Keep it current and fresh and change it when needed. You might also state in the voicemail that if the caller has called after normal business hours you will contact them the next business day. I have had agents state that if they are calling after 7:00 PM the call will be returned after 9:00 AM the following day. Another note to make is stating that if this is an emergency; please text you and you will respond as quickly as possible. There will be times you might have to break the rules, but rules are made to be broken, but also sets the boundaries and the expectation for the caller. And the last tip I have for you is you might consider changing your voicemail daily to tell the caller or the person texting you know your schedule for that day. This is a little excessive but is very effective. Remember, it is extremely disrespectful to the person who you are physically with to take a text message without first asking them if they mind you taking a moment to reply that you are busy. This is just common curiosity, so be respectful to the person you are with as their time is just as valuable as yours and think how it would make you feel to have the shoe on the other foot. Don’t forget to setup your voice mail on your office phone in addition to your cell phone. That message can be similar but might suggest they call your cell phone number as an alternative. Remember, take your time and don’t rush and keep recording it until you get it perfect! If you already have a relationship built with the person you are calling you won’t need to leave all the details, but all the same leave a clear message, take background noise in consideration and be professional and polite. 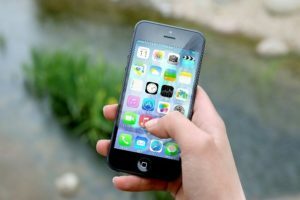 If you enjoyed reading these tips on the best practices of using your SmartPhone and Text Messaging, please feel free to share, email this blog or comment below. I am not going to tell you that your Facebook Page, Twitter or Instagram accounts or LinkedIn profile will sell houses (they won’t). What your posts on these social media accounts are for is to keep you in front of your clients, friends, family and prospective clients so that when they are ready to buy or sell, you are front of their mind as a real estate expert and they reach out to you first. It can be challenging to keep up with multiple social media accounts and post to them regularly without it distracting you from more critical parts of your business. 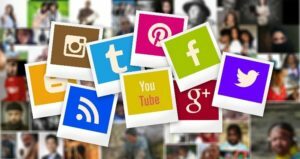 There are many social media solutions that will allow you to schedule your social media posts in advance so that you regularly post to your various accounts even if you get busy and can’t do it every day. There are multiple free and paid programs available that you can use to make it easier for you to schedule posts in advance. Here are some solutions to investigate if you want to add this to your plan. Many of these platforms offer free accounts so you can experiment with it and determine if it will work for you. Scheduling posts once a week is an effective way to ensure the information you want to share gets shared when you want to share it. It is so easy to get distracted when a buyer asks to look at a house, a closing or inspection takes longer than you expect or you need a day off. The goals you have for your social media presence may help you decide which platform will work best for you, your market and your community. These social media scheduler programs can help you schedule your posts, manage the post, monitor the pages, give you insights/reports and help you stay organized so you can respond appropriately to interactions and stay engaged with your followers. Now that you know how to schedule your posts, what should you post? Obviously, you should share information about the properties you have listed. Your sellers expect this and will be looking for it. One way you can manage content is to create a Pinterest board where you pin different articles and ideas you would like to share on social media. Then, when are scheduling your social media posts for the week, your Pinterest board can provide the ideas you need without you having to search for them. What else should you post? Share a variety of items relevant to homeowners as well as items relevant to the area you live in. You will also want to balance that with other non-real estate content. If your content is extremely real estate heavy, you will lose the attention of your followers. Some people aren’t interested in buying or selling real estate now or in the near future and if that is all you post about, they will tune out all of your posts. Because of the algorithms in place with the various social media accounts, interaction is critical. If your pages aren’t getting interaction, rethink what you are posting. When someone does comment on one of your posts, respond in some way. The more interaction you have on your posts, the greater exposure that post and future posts will receive. Another thing to watch is the time of day you post things. Evaluate your social media insights to determine the best time of day to schedule your social media posts based on when your followers are online. Lastly, consistency is key is the scheduling of your posts will help improve this but stick with it. Social media is a long-term approach. It’s not going to give results like making phone calls or an open house where you get instant feedback but will provide you and your listings added exposure over time. Get creative with your social media engagement, find the best scheduler out they’re that fits your needs and then set aside some time to devote to writing important real estate articles for your community, events that are going on, new businesses coming in or highlight a business, school, student, community services, etc. Make it all engaging and you will see a world of difference in how your audience connects with you. Here at Kim Hughes & Company we offer to work with our agents in their social media. We can create the strategy, the original content for you and your audience from real estate, new listings, community events and so much more. If you are interested in taking your social media to new heights then we should talk about how you can accomplish this goal. It seems every time you turn around, there is a new program targeting real estate agents and promising you more business, more time and a better way to do things. What if I told you there was something super easy that you can put in place right now for FREE? And, you could put in place right now with only a few minutes of your time? Would you be interested? I would certainly hope you would be, so read on…. It’s your email signature! Every time you send an email, u are given the opportunity to share your electronic business card. All you have to do is set up your signature through your email program. Once you do that, every time you send an email you are sharing all of your contact information. When you get a call from a potential client you email the prospect to follow up, you want them to have all of your information. What if they want to call you or visit your website? Make it easy for them. If they have to look for your information, they may not take the time and may wind up calling another agent that has made their information easier to find. As you likely know, getting new leads can take A LOT of time. Once you have the leads, you want to make it as easy as possible for them to stay in touch with you. Your email signature is a guarantee that when they are ready to correspond with you they will look at your email signature to get the information to reach out in one way or another. Don’t miss an opportunity just because you didn’t take the time to set this important piece of your business. Email Address – Even though they can see the email in the body – make it super easy for them to see it all in one place. Social media connections. Again, this would be the actual hyper-link. It is important to include everything that will allow people to connect with you easily but your signature doesn’t have to be too long to accomplish this. For the items that should direct people to an Internet URL, make sure to hyperlink those items so people can click on the hyperlinks to visit those URLs directly. Set up signatures on all devices and programs you use for email. Make sure to include all email programs you use like webmail or Outlook, mobile phones, tablets, MLS programs, your database or CRM and any other programs that may send out information on your behalf. Make sure signatures are used for replies and forwards in addition to new emails. If you get added to an email chain in the middle and you reply without this set up, no one will get your information. If you have a personal email address that is separate from your business email, include a signature there too. You may be sending an email to your kid’s teacher or to an old friend that doesn’t know you are in real estate but that may want to buy or sell a home. Setting up your signatures everywhere may take you a little time, but it is the equivalent of handing out business cards to every person you send an email to. Don’t you think that is a good use of your time?